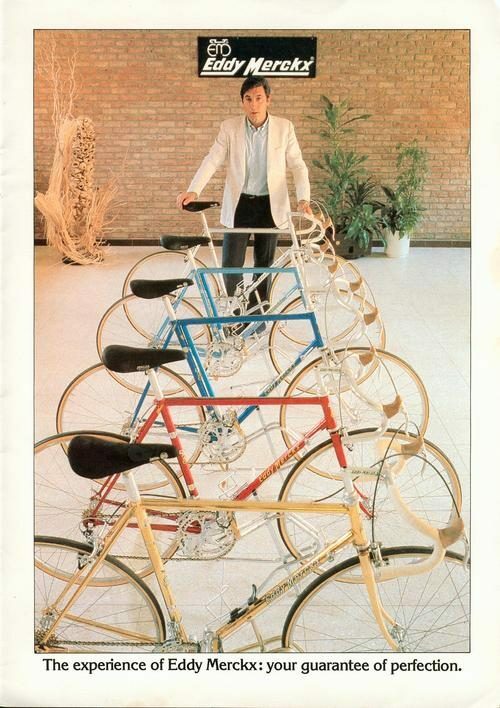 This is why I love posting Merckx Mondays. If you didn’t catch the comments that Harry left last week, then head over and read them. 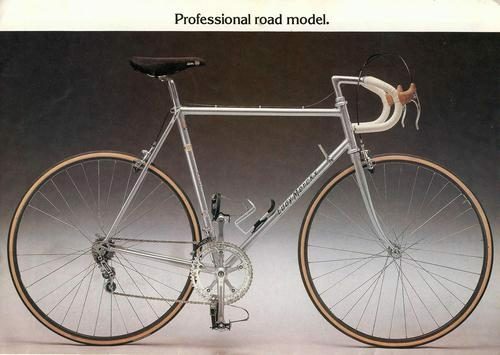 This week I’ve posted two Merckx Professional models, the Professional Road and Professional Track from a catalog I have saved on my computer. 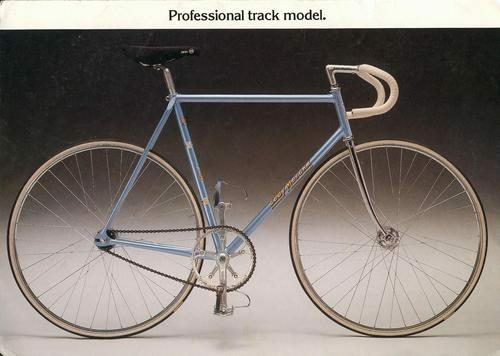 Both are fully dressed in Super Record components and a Cinelli cockpit. Look at that track gearing on the Pista! Then there’s this image of the Cannibal himself standing with the full road line from that year. Beautiful builds. If anyone knows the year of the catalog, could you update me on the comments? My scans don’t have the dates on them.